He wrote: “The lice of poor performance in government – poverty, insecurity, poor economic management, nepotism, gross dereliction of duty, condonation of misdeed – if not outright encouragement of it, lack of progress and hope for the future, lack of national cohesion and poor management of internal political dynamics and widening inequality – are very much with us today. 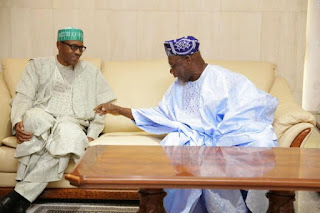 Obasanjo admitted that he is disappointed by Buhari, whom he supported during the 2015 election over Goodluck Jonathan and also explained why he stood against the incumbent three years ago. “Even the horse rider then, with whom I maintain very cordial, happy and social relationship today has come to realise his mistakes and regretted it publicly and I admire his courage and forthrightness in this regard. “He has a role to play on the side line for the good of Nigeria, Africa and humanity and I will see him as a partner in playing such a role nationally and internationally, but not as a horse rider in Nigeria again,” Obasanjo said.